Kevn Phelan, pictured with caddie Stephen Byrne, during last yer’s European Amateur at Carton House.Picture by Pat Cashman. Waterford Castle’s Kevin Phelan sensationally qualified for the US Open for the second time since 2010 when he topped his sectional qualifier in Florida. 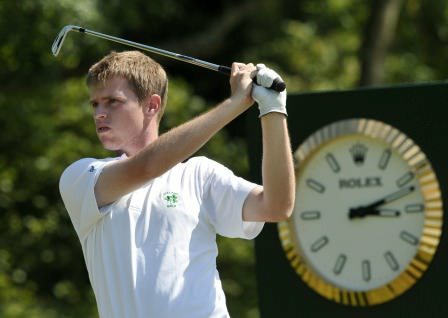 The 22-year old Florida based Irish interntional will tee it up at Merion next week alongside Rory McIlroy, Graeme McDowell, Darren Clarke and Pádraig Harrington after coming out on top in a sectional qualifier at Ritz-Carlton Members Golf Club in Bradenton, Florida. More than 50 players battled for just three place but Phelan, the world amateur No 39, shot rounds of 65 and 70 to finish on top at nine under par, one clear of Ohio’s John Hahn. John Nieporte and amateur David Snyder were playing off for the third and final spot having finished on seven under when play, which had already been delayed by weather, was suspended due to darkness. Phelan qualified for the US Open at Pebble Beach in 2010, where McDowell emerged victorious, but missed the cut. He has a busy schedule with the Palmer Cup match between college stars from the US and Europe this week, followed by the US Open and an invitation to the Irish Open at Carton House. Officially he’s playing in his first major as an American from St Augustine in Florida. But proud Waterford amateur Kevin Phelan will be announced as a representative of Ireland when he steps up to hit his first tee shot at Pebble Beach on Thursday afternoon. Jim Furyk has warned Waterford amateur Kevin Phelan not to let youthful enthusiasm get the better of him on his US Open debut. And after a thrilling practice round with the 2003 champion and last year’s joint runner up Ricky Barnes, Phelan has had the good sense to listen. 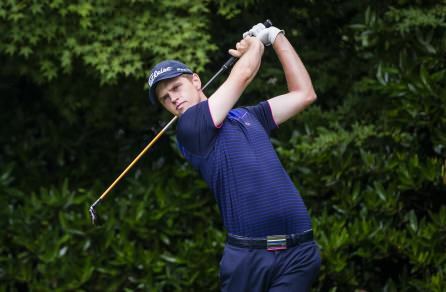 Waterford Castle amateur Kevin Phelan will have a chance to qualify for the US Open for the second year in a row. The 20-year old scholarship student at the University of North Florida was one of just four players to advance to the Sectional Qualifiers - the final qualifying stage - when he finished second in a controversial Local Qualifying tournament at Sawgrass Country Club in Jacksonville on Monday.